An ideal gift for groomsmen, fathers, husbands, and beer lovers. This 50 Caliber BMG Real Bullet bottle opener is handcrafted from genuine 50-caliber BMG brass cartridges after each cartridge was fired once. Comes with a gift box. 100% real brass bullet and not a replica. Math can do wonders. But not all can apply the math in a way to make good out of it. 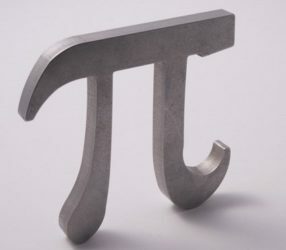 But with this Pi bottle opener, you can at least open a bottle for sure. Could also gift it to someone who is crazy about mathematics.